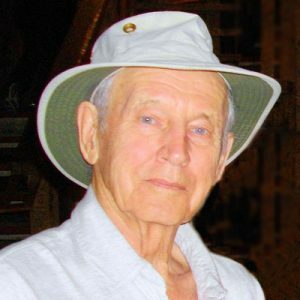 Ulric passed away peacefully Tuesday, September 4, 2018 at the age of 89. He leaves behind his beloved wife Therese of 69 years; their children Michel (Sandy), Suzanne, and Lise (Patrick), 11 grandchildren and 26 great grandchildren. Ulric was born in Hearst, Ontario, the third of seven children. He started working at a young age and always worked hard for the wife and children he dearly loved. He started as a logger, spent many years as an underground miner, ending his career as a heavy-duty equipment operator. At 51, he and Therese left all they knew out East to be closer to their children, settling in Calgary, Alberta. The move fulfilled his love of spending time with his children and grandchildren. Retiring in Kelowna, he enjoyed playing bridge, having morning coffee with friends and taking long walks. He will be greatly missed by the many friends and family whose lives he touched. A special thanks to Elaine Lamontagne for your love and care of our dad and being with him as he passed from here to eternity. Monday, October 8, 2018 at 10:00 am, followed at 11:00 am by a celebration of his life at the parish hall. The service for LAMONTAGNE, Ulric is scheduled for Monday, October 8, 2018 at 10:00 am, followed at 11:00 am by a celebration of his life at the parish hall.. Below you will find the map for the service location and the contact information should you have any questions. My sincere condolence to all the family. I remember Ulric with his joyful personality and his love for his family and friends. He will be missed but will look over his beautiful family. Bonjour Therese je vous souhaite toute nos Condoléances . Peut être que tu te demande de qui parvient le message. Jacques est le fils d’Alberta la sœur de ta Mère. A Quebec par le fait même nous avons su par Carole la fille de Gerard et Marie le deces de Simone. Désolé de ne pas avoir su avant .